Over the past few weeks and in the weeks coming, many Dioceses will or have ordained new Priests. 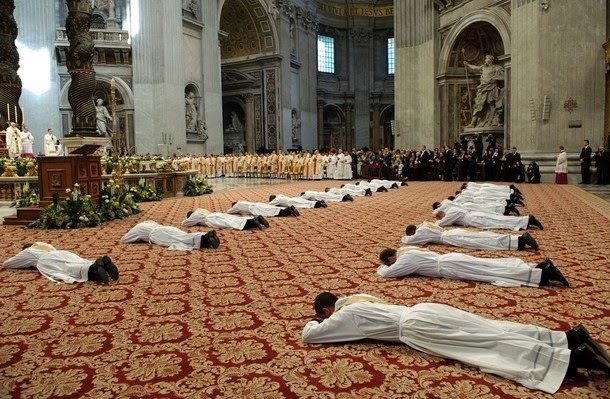 These new Priests are in need of our prayers for their Vocations. Tomorrow, my Dioceses will be ordaining six new Priests and I am so glad and excited to be able to attend the ordination. I am asking that we keep all newly Ordained Priests and Religious in our prayers. They have devoted their lives to the Faith and the Church. We are called to help them in their Vocations as well. Remember them in your prayers as well as asking if they are in need for anything as well. We need to remember that those who serve also need to be served as well. Until tomorrow, God Bless, and may our Priests and Religious feel our prayers.